Amazing things are happening at the Foundation of the AAGL! The Board of Directors of the Foundation is fresh off a highly productive strategic planning session where we re-evaluated our mission and goals and set a plan for where we envision the Foundation in five years’ time. The updated Mission of the Foundation is to provide opportunities for education, research, technology and global outreach with the ultimate goal of improving women’s health. We will achieve this mission by enacting our goals to provide mentorship, education, outreach, and research. One of the highest priorities for the Foundation this year was to recruit and fill the vacant Secretary-Treasurer and two Board of Director positions. I am thrilled to announce we have completed our leadership team with the appointment of three incredibly talented physicians! Dr. K. Warren Volker will be our Secretary-Treasurer. Based in Las Vegas, Nevada, Dr. Volker is a longtime AAGL member, an FMIGS fellowship director, and has graciously chosen to invest even more of his time with this organization which means so much to him. His plan to shape the Foundation to raise the profile of AAGL surgeons as experts in advanced minimally invasive surgery is proof positive that Dr. Volker is well-positioned as an officer of the Foundation. He is perfectly primed to progress through the ranks to Vice President and then President, over the next few years. Completing the Board roster are our two newest Directors, Joseph M. Gobern and Kristinell Keil. 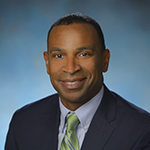 Dr. Gobern hails from Wynnewood, Pennsylvania and will use his time on the Foundation Board to advance the mission and vision of the Foundation and to expand access and awareness to research opportunities, emerging technologies, and MIGS specialty care to all women. 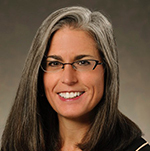 Dr. Keil practices in Denver, Colorado and brings her belief in the idea that highly specialized training in the field of minimally invasive gynecology should be accessible to all. Drs. Gobern and Keil, along with Dr. Volker and the rest of the Board, are eager to promote the Foundation of the AAGL and to serve the mission and members of our great organization. Another top priority is the re-development of the Foundation website. We are working right now on a brand-new site where we will affirm the Foundation goals of promoting mentorship, education, outreach, and research throughout our specialty, and where we will showcase exciting new ways for AAGL members to support all of these. Keep an eye on your inbox for the launch announcement! We can’t wait to give you an inside look at all that we’ve been working on. On the revamped site you’ll be able to learn more about all of the endowments, awards, and other initiatives that the Foundation supports and even take advantage of a new, state-of-the-art, simplified donation system. The Board is hard at work on new initiatives to inspire donors like you—with your generosity we will achieve our goals. You can also look forward to some cool FUNdraising events at this year’s Annual Meeting. Emails will be rolling out soon with details on Vancouver tours, a Casino Royale-themed Monte Carlo night, promotional merchandise (e.g. scrubs, scrub hats, jackets), giving campaigns, and more. I am personally honored to collaborate with the Foundation Board and AAGL staff. I look forward to working toward our goals and to sharing more about our upcoming plans and projects in the coming months. 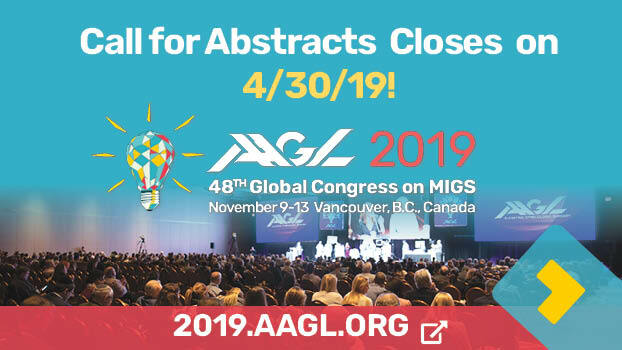 We welcome new ideas, please contact clovret@aagl.org with your input. You really do make the difference! 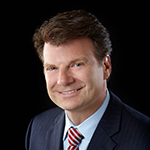 Dr. Betcher is the President of the Board of Directors for the Foundation of the AAGL. 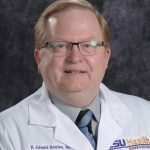 He is the Edwin E. Dilworth Professor of Gynecology; Chief, Gynecology; and Associate Professor in the Department of Ob/Gyn at LSU Health Sciences Center-Shreveport in Shreveport, Louisiana.